No matter how often you wash your face, your skin will still accumulate dead skin cells and various types of waste products. Unless this waste is removed, it will continue to build up on the surface of your skin causing it to appear dull, sluggish, tired and more vulnerable to outbreaks of whiteheads, blackheads and pimples. Fortunately, there is an easy way to prevent this from happening whilst at the same time keeping your face looking young, fresh and healthy. It’s called exfoliation. Usually, this is done with some kind of facial scrub where the skin is literally scrubbed with an abrasive cream or lotion, although it can also be done with chemicals or enzymes depending on your age, skin type and the kind of results that you would like to achieve. These sugar facial scrubs are just one of the many different types of exfoliants that you can use on your skin. After you have exfoliated your skin, your face will have an improved complexion and feel a lot smoother because exfoliation helps to remove any rough or uneven patches that you may have thereby leaving your skin with a more refined texture. As an added benefit, freshly exfoliated skin also tends to much better absorb skincare products such as your moisturizer or fake tan, and so over time, you should notice greater benefits from the products that you use. The first guideline when it comes to facial exfoliation is to be gentle and to not overdo it. The skin on your face, especially around your eyes and lips, is a lot more delicate than other parts of your body and so it needs to be treated with care. The skin around the eyes is thinner than on other parts of the face and so it needs to be treated with extra care. If you exfoliate too hard, or use exfoliating creams too often, you could end up doing yourself more harm than good by disrupting the delicate pH balance of your skin (i.e. the acid mantle layer) and accelerating the aging process of the face. Exfoliating too often can also remove many of the vitamins that reside in the upper layers of the skin. Vitamins such as vitamin C and vitamin E, for example, are antioxidants which protect the skin from free radical damage. So removing them by exfoliating too often isn’t a good idea. So when it comes to exfoliating your face, more is not always better. Your aim should be to exfoliate enough to get good results, but not too much that it starts causing you problems. Exfoliating should make your skin look and feel better. If it doesn’t, you are exfoliating too much or are using the wrong product. How often you exfoliate largely depends on your skin’s type. Some skins for example, such as oily or acne skin, may need to be exfoliated every few days. Other types, however, such as sensitive skins, need to be exfoliated far less frequently, such as once a week, because they can easily become irritated and inflamed if you exfoliate too often. 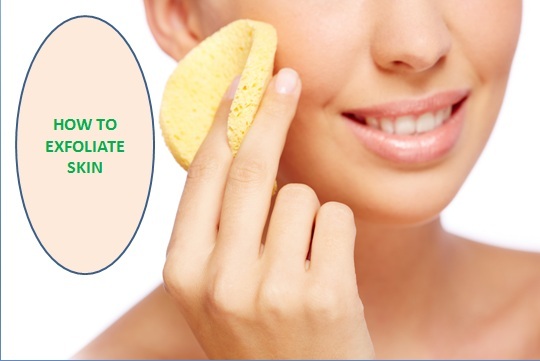 You will know when you have used an exfoliating product too much because your face will appear red afterwards and it may peel, flake, feel tender or sore. If this ever occurs to you after an exfoliating treatment, a good remedy is to apply Aloe Vera or chamomile tea directly to your face. Both of these are excellent at soothing the skin and reducing the inflammation and redness caused by over exfoliating. 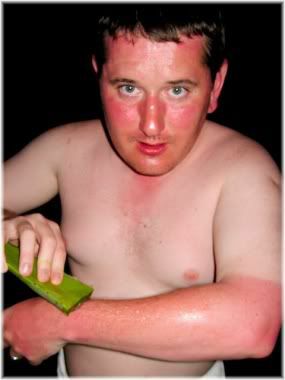 Although aloe vera can be very soothing to sunburned skin, it can also be used any time your skin feels red and inflamed. If you exfoliate your skin on a regular basis, especially if you have a sensitive skin type, then you may even want to buy yourself an Aloe Vera plant so that you can apply some fresh aloe directly to your face after every facial exfoliating treatment you do. It doesn’t matter what time of the day you exfoliate, so you can do it whenever is the most convenient for you. Most people though, prefer to do it at night as this gives their skin time recover before being exposed to the outside weather the following day. Before you begin exfoliating, it is recommended that you first cleanse your face. By doing so you will help to remove any excess dirt, oil, pollution, make up and dead cells on your face which will then allow your exfoliant to work better and deeper. You will get better results by washing your face before you exfoliate it. Once you have cleansed your face, apply your exfoliant to one area such as your cheek, chin, forehead, nose or neck, and gently rub the exfoliant into your skin using a circular upward motion with your fingertips. Your aim is to let the exfoliant do the work for you, so remember to be gentle and to not apply too much pressure if you are using something that contains bits in it (e.g., a facial scrub). Allow your exfoliant to gently glide over your skin. Repeat this process for each area of the face so that you are working on a single region at any one time, rather than trying to exfoliate the whole of your facial skin in one go. Be sure to pay attention to your T-zone area if your forehead, nose and chin are noticeably oilier than the rest of your face, and if you are a male, don’t forget to exfoliate the top of your forehead where it meets your hairline if you have receding hair in your temples. Cleanse all areas of the face paying particular attention to the forehead and T-zone. After you are finished, you can go over your face with a facial toner or simply with some water to remove any traces of the exfoliant from your skin and then apply your moisturizer. If you are applying an anti-aging serum to your face, such as a topical vitamin C serum, then it is recommended that you exfoliate at night as such serums will be more effective at protecting the face if they are allowed time to absorb overnight. What is the best exfoliating product to use? There are many different types of exfoliant skincare products and each have their advantages and disadvantages. Being aware of these pros and cons can help you to choose an exfoliant that works well for your skin whilst also avoiding the risk of suffering from an adverse reaction that makes you look worse and not better. Chemical exfoliants work by dissolving dead skin cells, sebum and sweat that have accumulated on the upper layers of the epidermis. Although chemical facial exfoliants can be very effective, you need to be careful using them so that you don’t end up burning your skin. You don’t need to scrub hard with chemical based exfoliants as they start working as soon as they are applied to the skin. Chemical exfoliants are either alpha hydroxy acids (AHAs) or beta hydroxy acids (BHAs) and both kinds can also be found in the same exfoliating product. To use a chemical exfoliant, apply a thin layer to a cleansed face and neck, taking care to avoid the eye area. Let the product sit on your skin for the recommended amount of time and then wash it off. You do not need to rub chemical exfoliants into your skin because the chemicals do the exfoliating for you. • Can give your skin a deep cleanse. • Easy to apply and no rubbing is required. • Some chemical exfoliants have antibacterial properties. 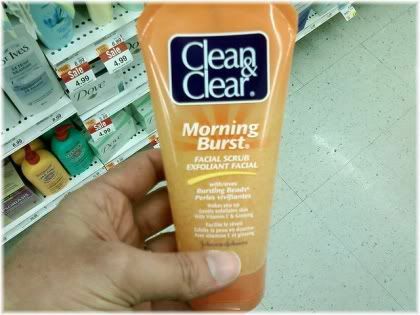 • Great for smoothing out the skin. • Not suitable for all skin types, especially sensitive skins. • Can burn your skin if you leave it on for too long. 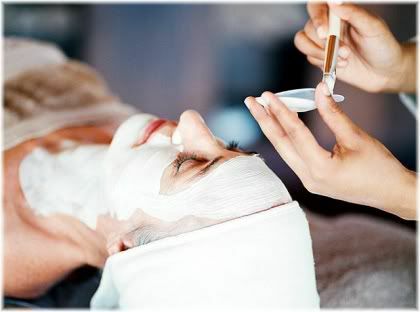 • Generally done at a health clinic, spa or beauty salon and so cost can be high. Some fruits contain natural enzymes that can digest dead cells which have built up on the surface of the skin. 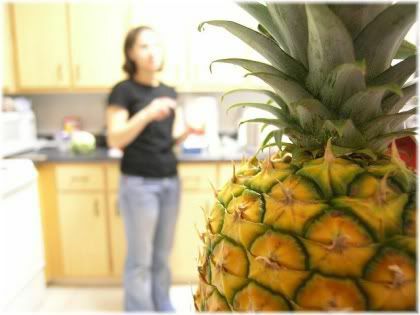 Many fruits, such as pineapple, contain enzymes that naturally dissolve dead skin cells. 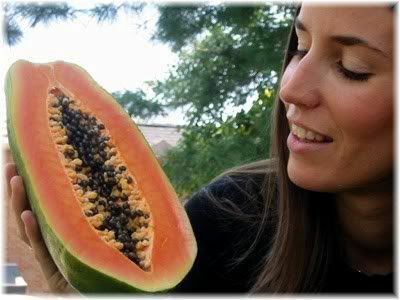 Fruit enzymes, such as papaya enzymes (e.g. papain) or pineapple enzymes (e.g. bromelain), have been used for thousands of years as a beauty treatment and can be a very effective and natural way to exfoliate your face. Because fruit enzymes work on the surface of the skin, they are also good at removing small bumps and rough patches so that your skin is left completely smooth afterwards. The good thing about fruit enzymes is that you can purchase fresh papaya or pineapple from your local store, mash it up, mix it with a bit of honey and then apply it directly to your face or body for an instant natural face and body exfoliator. Papaya mixed with honey makes a wonderfully soothing facial mask. Although this can sometimes prove to be a bit messy at times, it’s all natural, smells great and after 10-20 minutes your skin will also look great. If you decide to try this at home, make sure that you rinse the mask off if your skin starts to feel hot as otherwise you risk over exfoliating. If you don’t want to make your own exfoliating face mask at home, enzyme exfoliants can usually be found in health food stores and in some beauty stores. To use an enzyme exfoliant, apply a thin layer to a cleansed face and neck taking care to avoid the eye area. You don’t need to rub it in, so just let it sit on your skin. After 10-20 minutes, rinse it off with water and then tone and moisturize your face afterwards. • Excellent as part of an anti-aging skincare routine. • Can give deep and long-lasting results. • Can effectively balance out the skin by removing rough patches. • Can be very cheap if you make your own at home. • Generally suited to older skins. • May be too harsh for some skin types. • Possibility of burning the face if left on for too long or not rinsed properly. Exfoliating scrubs are usually found as a creamy lotion that contains grainy substances which you then massage onto your skin to remove the build up of dead cells. Facial scrubs can be made with natural ingredients such as ground nutshells, clay, cornmeal, oatmeal or rice powder. 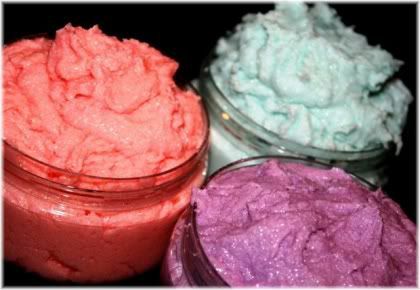 Facial scrubs can also be made with man-made ingredients such as polyurethane or silicone beads. Facial scrubs are the most common type of exfoliant. They are quick and easy to use, but you need to make sure that you choose the right one for your skin type. You need to be careful what type of facial scrub you use, however, because some types may not be very good for your skin type. For example, ground up nutshells may be too rough and abrasive for sensitive skins because they create micro lacerations (tiny cuts) that can leave sensitive skins looking red, inflamed and susceptible to infection. Gentler substances such as polyurethane or silicone beads are a lot smoother on the skin, because they roll in and out of the pores gently. So if you have found facial scrubs to be too abrasive for your skin in the past, then this may be a better option for you. Although abrasive facial scrubs can give you a deep cleanse, they also pose a higher risk of irritating and inflaming your skin. Clay masks, oatmeal, brown sugar and rice powder are even gentler exfoliants, and can help to remove dead skin cells without disrupting even the most delicate of skins. To use a facial scrub, simply apply a small amount to a cleansed face and neck. Rub the cream or lotion in a circular and upward motion taking care to avoid the eye area. Make sure you include the sides of your nose, your chin, forehead and jaw line. Afterwards, rinse your face, tone and then moisturize. The key to using facial scrubs is to let the product do the work. So don’t press onto the skin too hard and use your hands only to move the scrub across your face. • Cheap to buy and easy to apply. • Range of scrubs to choose from to suit your skin type. • Some scrubs may be too harsh for certain skins. • People have a tendency to overuse facial scrubs which can then damage their skin. • Requires more effort than chemical or enzyme exfoliants. • Doesn’t cleanse as deeply as enzymes. 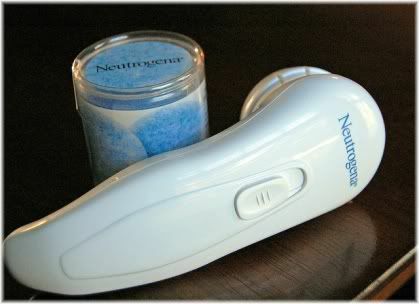 Another way to exfoliate your face is to use a mechanical exfoliant. These are essentially machines that work to remove built up dead cells from the surface of your skin as well as any rough patches or irregularities that you may have. 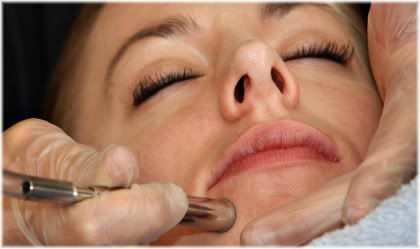 This picture shows a woman undergoing a professional microdermabrasion treatment. However, the trouble with mechanical exfoliants is that it is very easy to overuse them and apply too much pressure or exfoliate one area too much. So unless you know what you are doing and have some experience with them, they are likely to result in inflammation, microlacerations and redness. Home use exfoliating devices can produce good results, but they can also end up damaging your skin if overused or used incorrectly. Most of the mechanical exfoliating devices that you find will usually be hand-held microdermabrasion machines, rotating brushes or ultrasound devices. Generally, these are not recommended for home use and are better left to the professionals who have experience with them. • Can give excellent results if you know how to use them correctly. • Saves buying more products later on. • Can produce very good results on mature skins and very dry skins. • Inexperienced users can damage the skin easily. • Much more expensive than regular exfoliants. • Can leave your face looking very red post treatment. • May result in soreness and tenderness that lasts 1-3 days. Combinations exfoliants are those that combine enzymes and scrubs or chemicals and scrubs. As long as they don’t irritate your skin these are fine to use, and you may find them to be more effective than regular exfoliants depending on what type of skin you have. Combination products combine a moisturizer or cleanser with an exfoliant. Although this is convenient, it’s not a good choice for most skin types. You may also find that some exfoliants are included in certain cleansing products and in moisturizers. Whilst this certainly makes life more convenient, you should be careful about using these because most skin types do not benefit from daily exfoliation. If you do decide to use a combined product, such as a cleanser with a chemical or physical exfoliant, then make sure you do so for only two or three days each week as otherwise you risk damaging your skin. For this reason, it is usually best to use a single exfoliant rather than a combined product as this way you can use it only on the days when you need it. • Combinations can give better results than single products. • Can be beneficial if you have combination skin. • May not suit all skin types. • Are usually more expensive than single products. Every skin type responds to exfoliation differently, so how you exfoliate your skin will be unique to you. If you are new to exfoliating, use the following guidelines for each skin type to help you determine how best and how often to exfoliate. Normal skin types can get good results from using any type of exfoliant. Normal skin can be exfoliated 2-3 times a week without causing any irritation. If you have normal skin, you can also use any type of exfoliant that you want such as chemical, enzyme, scrub or combination exfoliants. Exfoliate with such products when you feel is needed, but be careful not to overdo it. Oily skin types will benefit most from using products that remove excess sebum on the face. If you have an oily skin type, then you may be tempted to exfoliate every day in order to control and reduce your oil secretions. Don’t make this mistake, because if you exfoliate too often, you will overstimulate your skin and it will become oilier. Oily skins should be exfoliated a maximum of three times a week, leaving at least one days rest between each exfoliating treatment. Cleanse your face and neck and then apply the mask to your face. Leave on for 10-20 minutes, or as directed, and then wash off. Look for an exfoliant containing salicylic acid for a deep antibacterial cleanse. You can buy facial exfoliants containing finely ground cornmeal which are very gentle on the skin, or you can buy some in your local health food or grocery store. To make your own cornmeal exfoliant, mix some cornmeal with a bit of warm water and then use it to massage your face, rinsing afterwards. Polyurethane or silicone beads are very gentle exfoliants that effectively remove dead cells from your skin’s surface without overstimulating it. When using enzyme exfoliants or home-made fruit exfoliants, make sure that you wash your face properly afterwards because the enzymes will continue to work for a long time. A good idea is to take a shower as this way you will be able to wash your face thoroughly. If you have sensitive skin then you need to be very careful about how you exfoliate and how often you exfoliate. If you have sensitive skin you should only exfoliate it once or twice a week with a gentle exfoliant. Because your skin can sometimes react badly to certain skincare products, try to avoid using chemical exfoliants because these more often than not will leave your face looking red and inflamed. Instead, opt for a more natural and gentle product such as rice powder or oatmeal exfoliant. You may also get good results from using an enzyme based exfoliant, such as a papaya face mask. You can make your own oatmeal exfoliant at home by mixing one or two tablespoons of oatmeal and rice powder together with water and a bit of honey. Your mixture should then be applied to the face for 15-20 minutes and then afterwards rinsed off. Oatmeal will help to soften dry, patchy areas and soothe inflamed skin, while the rice powder will remove dead skin cells by acting as a mild abrasive without causing any irritation. Oatmeal and honey face mask…yum! Alternatively, you can buy products that contain polyurethane or silicone beads as these are also very gentle on sensitive skins. Sensitive skin should only be exfoliated once or twice a week depending on your skin’s sensitivity and always with a gentle exfoliant. Oily-dry skins benefit from regular exfoliation because it helps to restore moisture to dry areas and also remove the build up of dead cells, dirt and excess oil in your oily areas. 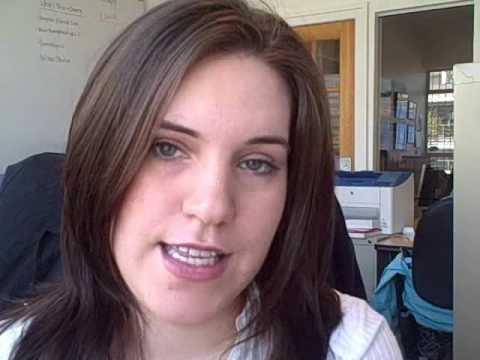 People with combination skin may need to use several different products to obtain the best results. If you have rough dry patches of skin on your face, then you may find that stronger exfoliants, such as enzyme exfoliants or facial scrubs, will provide you with better results. For people with only dry skin, you may also want to try using a mechanical exfoliating device as this can provide you with a very deep cleanse and effectively remove rough or scaly patches of skin. A good exfoliation technique for oily-dry skin involves alternating the exfoliants you use. For example, using glycolic acid, facial scrubs and exfoliating enzymes on different days. Just apply these to a clean face, allow the exfoliant to do its work, rinse off, tone and then moisturize. Oily-dry skin should be exfoliated a maximum of three times a week. Acne skin tends to benefit the most from salicylic acid exfoliants because these help to kill the acne bacteria which cause the skin to become inflamed and breakout. In addition to salicylic acid, acne skins also benefit from clay masks and enzyme exfoliants. 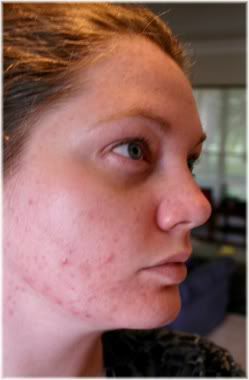 The main concern when exfoliating acne skin is to not scar the skin. To exfoliate, cleanse your face, apply the exfoliant, rinse off, tone and then moisturize. Be careful not to exfoliate your skin more than three times a week because you could end up overstimulating it and cause it to become inflamed. People with acne skins should avoid using facial scrubs because they are too harsh and can inflame the skin. Furthermore, if you have existing breakouts on the face, using a harsh facial scrub, such as a nut shell scrub, could tear open pimples and cause scarring on the face. 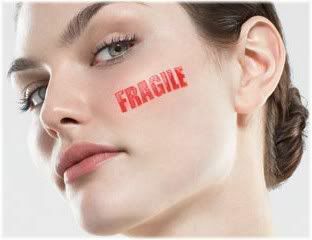 So if you are in the middle of a breakout, try using something gentler instead to minimize the risk of scars developing.